I know Viz's Shonen Jump has an ISSN (1545-7818), but that's from North America. Do any Japanese manga magazines (e.g. 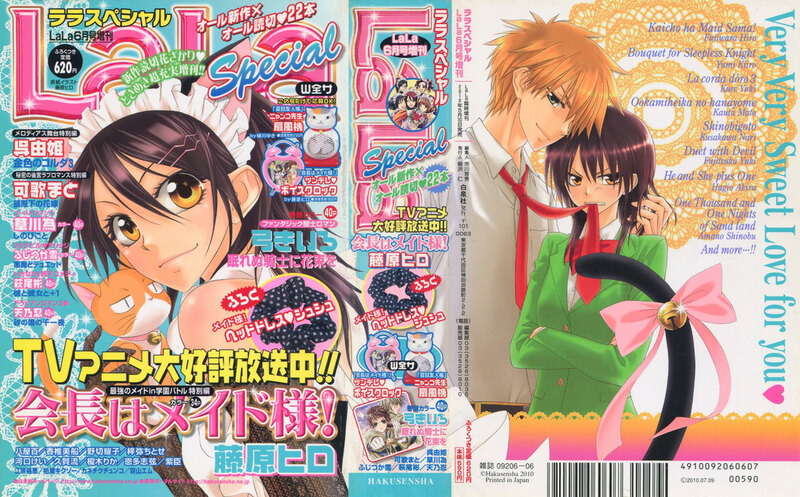 Weekly Shonen Jump, Monthly Shonen Gangan, Dengeki Daioh, Comic Yuri Hime, etc.) have ISSNs? There are a few places I checked. First, while Wikipedia gives the ISSN for magazines such as Shonen Jump but doesn't give it for magazines such as Weekly Shonen Jump or LaLa. Lastly, I checked the ISSN International Centre, which has Shonen Jump but can't find Weekly Shonen Jump or LaLa. The reason I didn't mention this first is that a lack of search results is not always the best indicator of something not existing, particularly when there are issues across languages, but I did search in both English and Japanese, so I'm fairly certain this means there just aren't ISSNs for them. Extrapolating out, it can be assumed that Japanese manga magazines don't have ISSNs. However, they do have 雑誌コード (magazine codes) that are used as identification codes for magazines/journals in Japan. The Wikipedia article is in Japanese but if you translate it, it provides a decent explanation. You can also see the magazine code (09206-06) to the left of the barcode in the magazine below. kuwaly's answer is correct; in Japan, ISSN is not generally used. They instead use either 雑誌コード (zasshi CODE, magazine/journal code), JAN (Japanese Article Number) code, or 定期刊行物コード (teikikan koubutsu CODE, periodical publication code). JAN (Japanese Article Number) code is an exclusive code for Japanese publication which is compatible with EAN code. It's always started with 49/45 and is in a format of 13-digit or the shortened 8-digit code. Unlike other countries, ISSN is not used in the distribution of serial publications in Japan ("magazine code" is the common one), granting of ISSN will take place only after the publisher apply for it.